This three seat reclining configuration is made from combining the modular components from this theater seating collection. Each seat features plush padding that you won't be able to wait to sink into. Consoles separating the seats offer two cup-holders each. 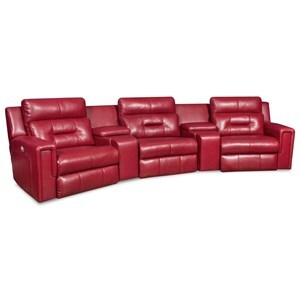 The sleek and contemporary style works great for entertainment spaces. This collection is made by an American furniture manufacturer. 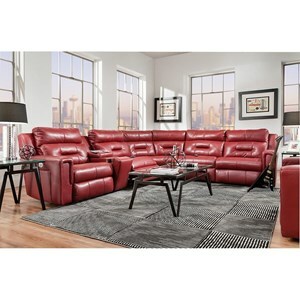 Items can be customized in an assortment of upholstery options. 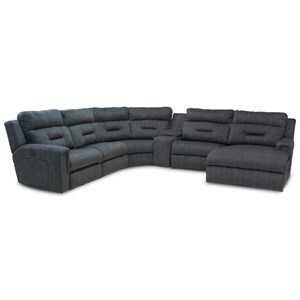 The Excel Theater Seating Sectional with Three Seats by Southern Motion at Wayside Furniture in the Akron, Cleveland, Canton, Medina, Youngstown, Ohio area. Product availability may vary. Contact us for the most current availability on this product. 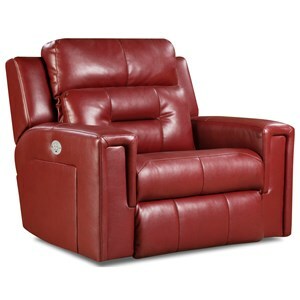 866-45 Medium Wedge with CupHolders 2 35" 25"
866-08 Right Arm Facing Recliner 1 40" 38" 40"
The Excel collection is a great option if you are looking for Contemporary furniture in the Akron, Cleveland, Canton, Medina, Youngstown, Ohio area. 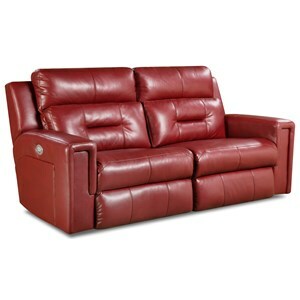 Browse other items in the Excel collection from Wayside Furniture in the Akron, Cleveland, Canton, Medina, Youngstown, Ohio area.